Take a deep breath before we dive into the new Récital 22 Grand Récital, unveiled today, because there is a lot going on in this remarkable timepiece. 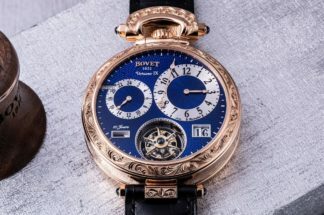 Bovet has established the Récital series as one of the key places where the brand can flex its watchmaking muscles, especially when it comes to astronomical complications. In this regard, the Récital 22 Grand Récital certainly doesn’t disappoint. First off, the main points: this watch is a nine-day flying tourbillon Tellurium-Orrery and retrograde perpetual calendar. 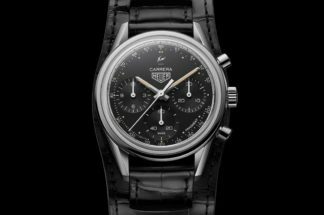 There are four main features that are prominently displayed on the dial side of the watch. First is the aforementioned Tellurium-Orrery, featuring a hemispherical earth which rotates on its own axis and shows the hours on a 24-hour cycle. A spherical moon orbits the earth according to the exact length of its synodic period, i.e. 29.53 days. This moon phase is very accurate, only registering a discrepancy of one day every 122 years. The sun is represented by the tourbillon at the six o’clock position, which is raised above the surface of the movement to make it more visible. 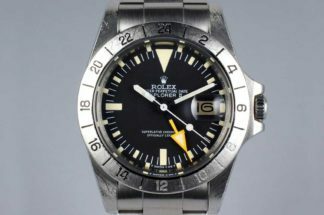 The retrograde minutes are displayed in a sub dial on the left side of the dial, while the power reserve indicator occupies the right-side sub dial. The perpetual calendar is displayed on the back of the watch, with apertures for hour, day, month and leap-year indications and a glass date disk. Now, back to the earth, which is engraved and decorated with a hand-painted map, including details of oceans, mountains, deserts and forests. Clouds and air currents are also painted on, separated from the painting of the earth by layers of lacquer, so they look like they are floating in mid-air. The earth rotates counter-clockwise every 24 hours and the hours are displayed by a hand at the bottom of the rotating earth, just above the tourbillon. The hemisphere of the earth is completely customizable, so the owners’ chosen location can be positioned on the earth-sun axis when the timepiece displays midday, meaning each movement and timepiece can only be assembled once the collector’s special requests have been received. One of the challenges with a timepiece this complicated and linked to the movement of celestial bodies is that resetting it if it stops can be a real chore. 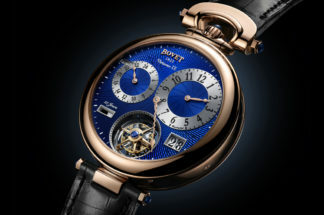 Bovet, however, has come up with a patented way of making resetting the watch a breeze. In addition to the traditional correctors for each individual indication, the Bovet watchmakers have developed a system using a push piece located between the upper lugs that simultaneously adjusts all the timepiece’s functions. For example, if the timepiece has been stopped for six days, this push piece can simply be pressed six times to adjust all the perpetual calendar and Tellurium functions at the same time. Like I said, there is a lot going on with this incredible watch. I can’t wait to see it in person and learn more about it, which I will when I visit the Bovet castle in Motier for a dinner with Bovet’s owner, Pascal Raffy, next week. Watch this space for a first-hand report. Caliber 17DM03-TEL, hand wound tourbillon, Hours (24hr), Retrograde minutes, Seconds on the double-sided flying tourbillon, Precision Moon phase, Retrograde double-sided date, power reserve indicator, Retrograde perpetual calendar on the back, nine-day power reserve.